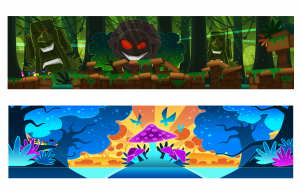 Besides Beautiful Widgets, Plume or Peti, our proud and brave developers are actually working on a new exciting game. 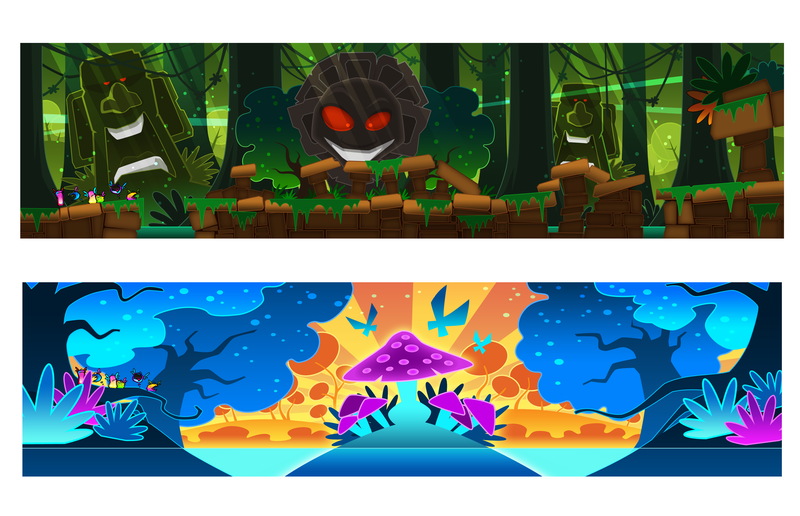 This is the time for us to give you a first look on this future game environment. So here’s – drumroll – the first secret project sketch ! New Beautiful Widgets in Action ! 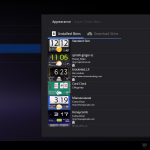 It’s time for us to show a little more about our next version of Beautiful Widgets. This week, we are proud to present a new feature that’ll be available soon. And as a picture can sometime be more relevant than words, here’s one ! Since several months, we have been working on a brand new version of Beautiful Widgets. Our developers are actually rewriting the application to be fully in agreement with the new Android Guidelines. 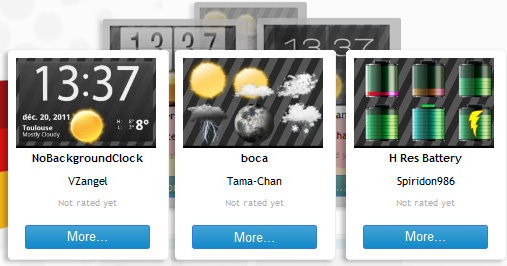 You will find a lot of new features within Beautiful Widgets and also a new eye-candy and user-friendly design. You will be able to use, of course, all of the themes that are actually available on the Theme Market. We are proud to release a new version of Beautiful Widgets. 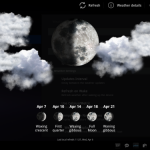 While you can find a lot of clock and weather applications for Android, you are often limited by the customizations possibilities. Beautiful Widgets provides the best and biggest skins database, but as we thought it was not enough to satisfy your needs, we are releasing ou Web Skins Market: : http://market.beautiful-widgets.com . Big events happen at the same time. We celebrated, yesterday, 10 billions downloads with Google on Android Market. 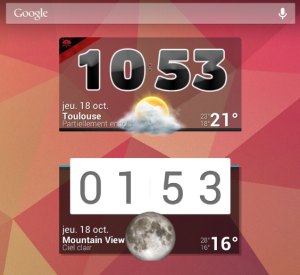 For this occasion, Beautiful Widgets was available for only 10ct (on each money) for 24 hours. Now, we are proud to announce that Beautiful Widgets is the first paid application reaching one million downloads on Android Market. 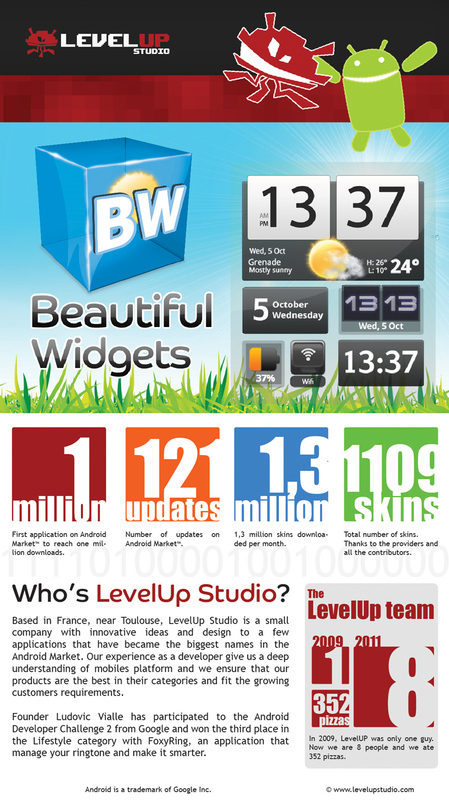 For this occasion, we offer many information about Beautiful Widgets and LevelUp Studio. Please, read the following infographics. For your friends, who are not using Beautiful Widgets, you can find always the application on Android Market. It has been a while since we updated Plume! We have been very busy working on a few new important features, and ensure that it works with Android 4.0 aka Ice Cream Sandwich. 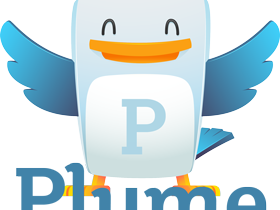 you will be pleased to hear that from now, once Plume is in the foreground, you will get realtime updates in your timeline. We are working hard to getting it to work in the background (in fact we need access to Twitter Site Stream which is in closed beta), this will be added as soon as possible. In the meanwhile, we have also added some features that you have waited for a long time, such as an internal outbox system so you can tweet and do most of the things even with no internet connection, the events will be queued and executed when possible. We thought that was not enough, we added the possibility to add a comment to uploaded pictures, but also support for Tweetmarker to synchronize your timeline position between devices and systems. You can add to the list the fact that we have fixed many bugs and improved performances, with the hope that we did not add too much of them! Many thanks to all the translators and people that helped to beta test so many versions, we appreciate it! If you are using Beautiful Widgets, Plume or Foxyring you may want to tell it to your friends and read information about your favorite application. Now, you can share you happiness with our apps with all your Facebook friends. It is easy. Click on your favorite app picture and click on “Like”. With the Facebook pages, you will see the new feature in the apps before updated on your phone. 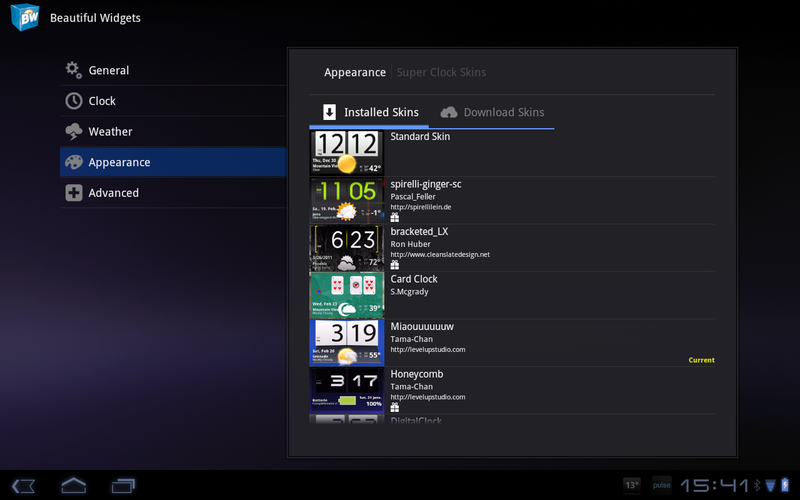 For Beautiful Widget, you can discover new skins for your clock, weather or toggle favorite widgets. If you love all apps, love our team too. You will be in touch to know when new apps will be released. We a proud to announce that after a whole month of work, we were able to port Beautiful Widgets successfully on Android 3.0 alias Honeycomb! It required a lot of changes in order to support the new API, fortunately Google helped a bit with their library to support what we call “Fragments” even on older Android devices. Fragments are portions of the user interface that can be reused and it now the new standard in developing for Android. The challenge was mainly to be able to support the new Android tablet while not breaking the user experience on smaller devices, and as we wanted to also please them, we added a few new features so everyone can benefit of the new version! 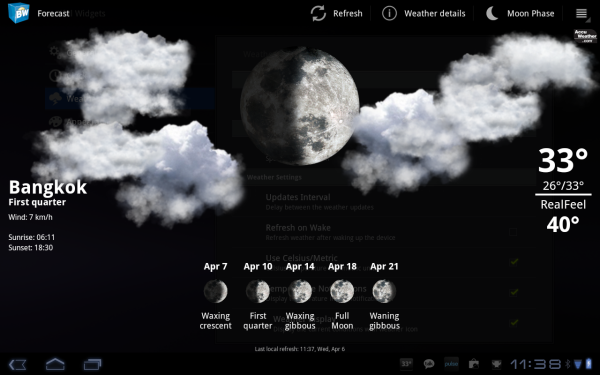 That was the occasion to add a feature requested since a long time: moon phases. Not only we added the current phase, but you can now also know when and what are the next phases. We also added a lot of small features and optimizations, most of you might not even notice them, but the most important is the ability to change the date format, or to sort the skin list without doing another query on the server. A lot of bug have been squashed. We sincerely hope that you will love this new release, we keep improving Beautiful Widgets since the first release 20 months ago. We are excited to see Beautiful Widgets finally reached the symbolic number of 500,000 copies from the Android Market! While we are not the first ones to achieve that number (we think Robo Defense from Lupis Labs Software did it just before us), we are still very proud of what we have done. 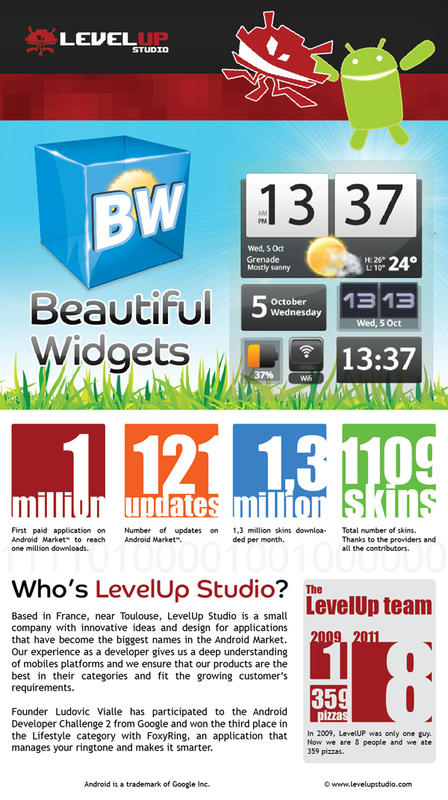 LevelUp Studio was created in june 2009, right after the first Android device was released in France. All of this started just from a love for Android, by one man, Ludovic Vialle. Now our constants updates and hard work helped us to become one of the leading teams dedicated to Android. The independent studio is now a team of 4 people (and soon 5!) investing their passion on the platform, in order to deliver you the best applications.